It’s that time again! 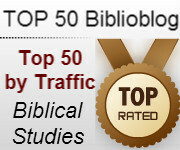 April is just around the corner, so let’s see where biblioblog rankings stand. As in the last report (and like the one before it), the method here uses Alexa rankings very strictly whenever they are available. For some sites (i.e., Patheos and Livejournal), where Alexa doesn’t have separate data on each blog, the position has been reckoned by hand. As expected, Jim West continues to maintain a solid lead, but there’s plenty of action in the top 50 and beyond. Check out the full list, in order by rank, below. And why not keep tabs on some of the interesting ones while you are at it? As before, please let me know if there’s a blog you want to see in the results next quarter. I can list this unBlog, but since it is not hosted on wordpress or blogspot or its own domain, it can’t be ranked (by Alexa) very easily. I always love lists like this, simply because it helps to identify the digital influencers in theology and biblical study. H. T. : Alin Suciu shares with us this blog, Ancient Church Orders – « A blog on the ancient church orders » –, created on February 12, 2013 by Fr Alistair C. Stewart.